UConn admits largest-ever freshman class | HartfordBusiness.com . New to the site? Click here to register. UConn's incoming freshman class is the school's largest and smartest, officials announced Wednesday. The state's flagship university said it admitted 5,500 freshmen in the class of 2022, including 74 percent who are state residents. 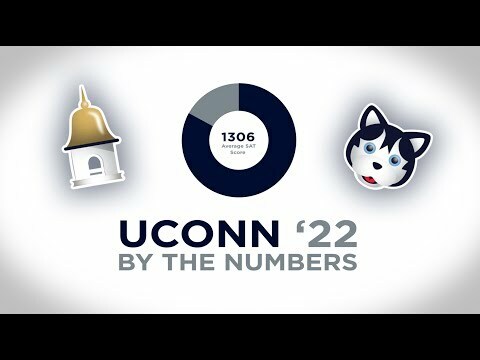 Of the total student body, 3,764 will be based at UConn's Storrs campus. In-state students are coming from all but five cities and towns in Connecticut. The incoming freshman averaged 1306 on the SAT and about 84 percent ranked in the top 25 percent of their high school classes. The freshmen class includes 175 valedictorians and salutatorians and a record 550 incoming students will join the school's honors program, UConn said. The class of 2022 includes 1,000 transfer students and more than 40 percent of enrollees are students of color, excluding international students. UConn Stamford will also see its largest incoming class of 650 students this fall. In total, UConn will serve 24,375 undergraduates this year, with 19,331 based in Storrs. Outgoing President Susan Herbst announced the new enrollment data during a press conference at the state Capitol on Wednesday. UConn's fall semester begins Monday.